Gemination is Latin for "Making Twins", and is not a misspelling of germination which is to start a seed growing. 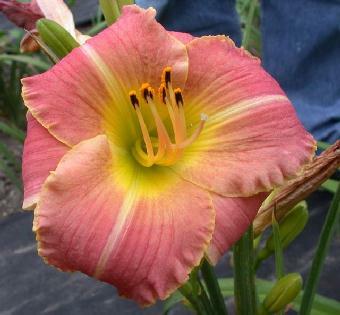 It is our goal to provide excellent hybrid Daylilies from our own hybridizing efforts (available from John & Paula's Daylilies), and to help other hybridizers to properly clone their valuable Daylilies, without allowing the cloning to swamp the market. Limited Edition Tissue Culture is for Hybridizers only. You must be the original hybridizer, or have written permission from the original hybridizer to use our services. 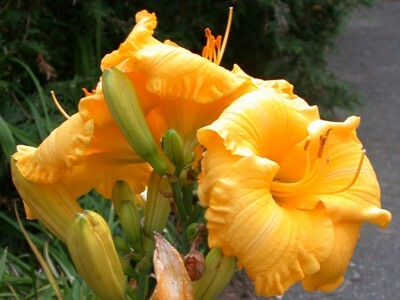 We have developed procedures to geminate daylilies at a reasonable cost for hybridizers (approx. $500) - so that you do not have to wait 5 years to have enough to sell and you do not have to spend the standard $ 1500 to use tissue culture. We produce 50 or 100 from tissue culture in a year, so if you have a star plant, and want to sell some in 2 years, then we can help you. 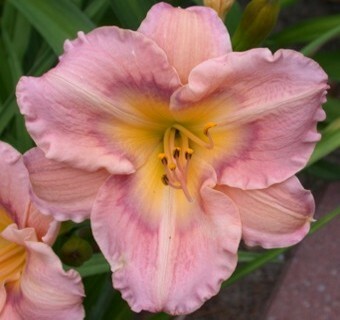 Please do not send us someone else's cultivar. 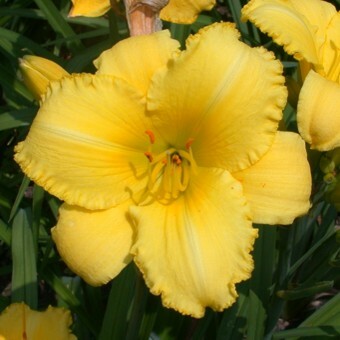 Although registering a Daylily does not protect it legally from other people using tissue culture, we feel that a plant should have the same protection as a patented device - and that only the owner or hybridizer should be allowed to use tissue culture to multiply the plant for the first 15 years after its introduction. We reserve the right to refuse to handle any plant we do not believe has been submitted by the original hybridizer or by someone authorized by the original hybridizer. We also reserve to the right to refuse to send cultured plants even if we originally accepted the plant and fees for introduction into culture if we receive evidence that the plant submitted was not properly authorized. Note: Our success rate with flower buds has been very poor, so we are requesting proliferations, new shoots, or whole plants only. Proliferations and new shoots are ideal, and we are able to introduce them into culture without requiring a callous stage, so genetic changes are very unlikely. Whole plants are more difficult, but can usually be encouraged to start some new growth and we use that instead of the old growth. We encourage new growth by simply cutting the plant in half vertically, which can kill the plant, but usually leads to new shoots growing from the two sections. Again, with this approach we are able to skip the callous stage, minimizing any chances of genetic changes. 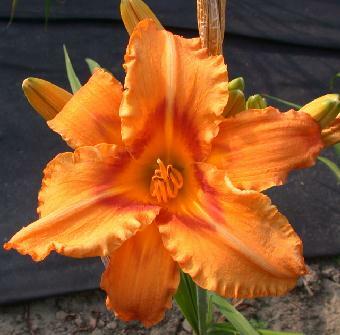 Success Rate: Generally we have been successful with most attempts with proliferations and whole plants. Overall, some plants simply do not survive the process, and some have disease, mold, or fungus that goes into the culture medium with the plants, which grows quickly and kills the plants. Some varieties will be easy, some will never succeed. We estimate that we will succeed in the preliminary stage of introducing the plant into tissue culture about 80% of the time. If your plant has Rust, please do not send it. If it is VERY Valuable, call us, warn us, and we will discuss the situation. If it arrives with visible rust, without prior discussion, we reserve the right to burn it. Note: We are located in Canada. Plants must be shipped bare root, with Phyto certificates to be received into Canada. 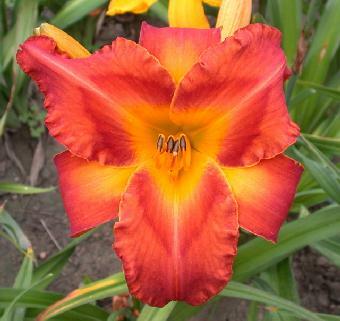 It may be possible to send flower stalks and proliferations without Phyto certifications, but we have not yet received confirmation from Canadian customs that it is allowed, so at present, send Phyto Certs with everything. PLEASE send your plant with UPS, next day air, NOT GROUND. Mail takes weeks not days. UPS ground shipments charge us about $50 for brokerage fees in addition to whatever you paid for shipping, which we will have to charge back to you. Fed Ex are acceptable to us, but they do not always allow you to ship live plants. Fed Ex Express include all brokerage and handling charges in their shipping costs. UPS and Fed Ex also supply boxes at no charge, and their standard medium boxes will fit plants easily. Please include a copy of the phyto cert in the box, and staple a copy of the phyto cert to the waybill's customs page. To get a plant into tissue culture we require cells that are growing and differentiating. 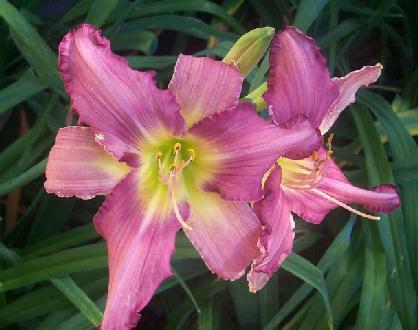 Daylily leaves do not have the ability to be tissue cultured, but they do have the ability to be used for cloning. At present we are NOT cloning plants, but are only using portions of the plant that can develop into offshoots and full plants naturally if triggered to do so. 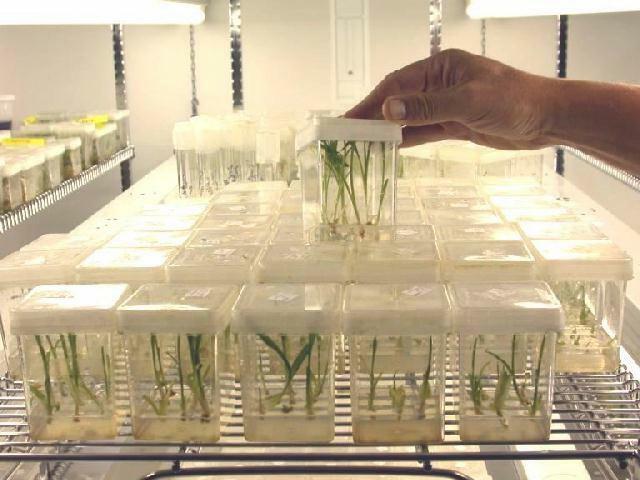 In tissue culture, the standard process is to take the buds/stem cells/rhizomes and cut away the other cells and try to stimulate them into growing into full plants. If we can start with tiny plants the correct size for tissue culture, then we can skip the heavy hormone stage usually required to produce a callous which is the first stage of stimulating the bud or cells to grow a whole plant. The callous stage is usually the one in which genetic changes are likely to occur. Once in tissue culture, the plants are kept very tiny and cut into sections often (about once a month), each time creating more plantlets. The tissue culture is kept in a sterile container with a gel based food source for the cells, so they can easily grow. If the plant is inclined to grow, it is easier to put it into tissue culture. 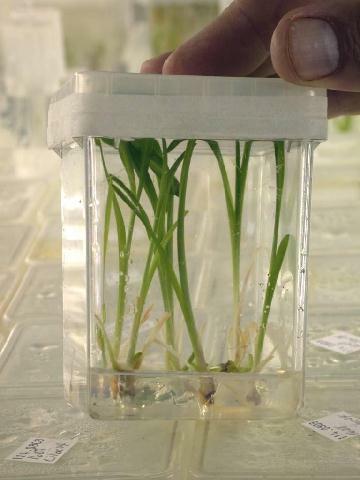 If the plant is mature and done growing for the year, it is difficult to put it into tissue culture. If we did use a lot of hormone stimulation, the tissue would not be as likely to grow into a strong plant identical to the parent. So we use new growth only. If you send us a mature plant, we will cut it into pieces and try to stimulate it to grow new shoots before we try to put it into tissue culture. This usually works, but not always, and it takes a month longer. Payable by VISA, MC or check. Please send the payment with the plant. For credit card payments, please indicate your name, card type, card number, expiry date, extra code (on the back after the main number), and sign it. Credit cards are processed in Canadian dollars, at the current exchange rate of the day. 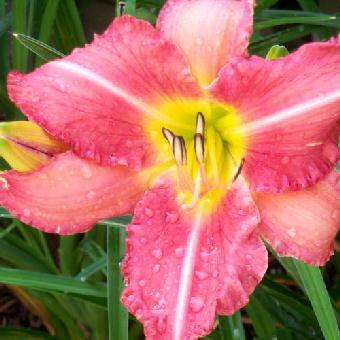 If we are successful, then the plantlets will be ready to send to you in about a year or a bit less, so if you send us a plant in July or August, we can send plantlets back in March or April. 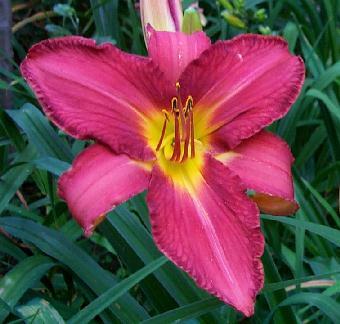 Plantlets are similar to seedlings in size and behavior, and will take a season to grow large enough to sell. Plantlets cost $ 250 for 50 and $ 400 for 100. Shipping is by Federal Express, and plantlets can be shipped anywhere in the world without a problem as they are sterile and have no pests, disease, or potential for contamination. Shipping costs are generally in the $ 20 to $ 50 range. 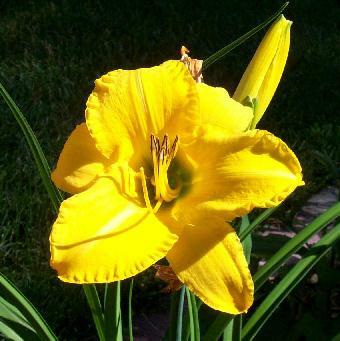 If you prefer to receive plants that have been transferred to pots and grown in a greenhouse for several months, we can provide them "ready to plant" for an additional $3.00 each. You can do some as plantlets and some potted. Shipping costs are a bit higher for potted plants. 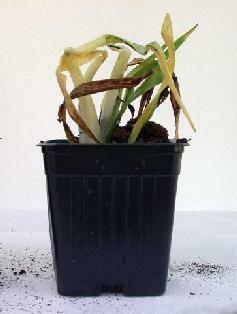 The potted plants are hardy: the following is a photograph of a potted tissue cultured plant that was in the mail for 22 days. Although the plants can survive long transit times in the mail, we do not like to take the chance. 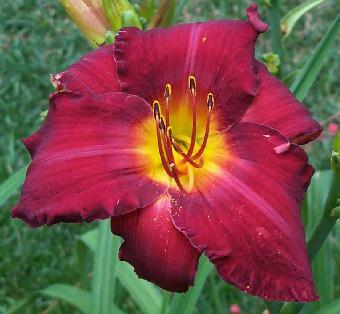 We do all of our shipments with Federal Express to ensure that you get your plants in the best possible condition. Gemination is in the development stages. 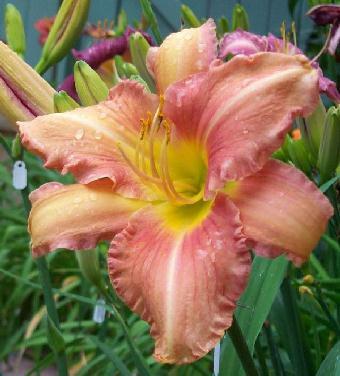 I have started Gemination simply because I have some excellent daylilies that I have produced, but they propagate too slowly in our climate. In order to have any available for sale, it takes 5 to 7 years. With tissue culture it is possible to reproduce many from one in a year or so. The ability to do plant tissue culture has also come from my interest in cloning animals. Many species need help to survive, and cloning some of the rare ones can be used to help maintain the species. Many valuable animals would also benefit from cloning. As with plants, should we ever get to the stage of cloning animals, we will maintain strict rules of conduct. We do not intend to do any genetic manipulation. We do not intend to clone people. For valuable animals such as race horses, both the owner and the breeder must give permission for cloning. Cloning shall be treated like a valuable original work of art: both the owner and the artist must agree before reproductions are made. All clones shall be limited in numbers. 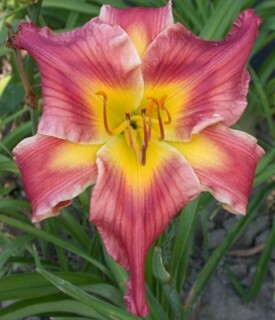 Here are some of my Daylilies - produced and raised in Mississauga, Ontario, Canada. 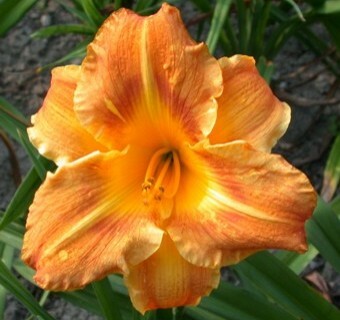 These daylilies are all hardy in our weather with a few that would prefer warmer weather. 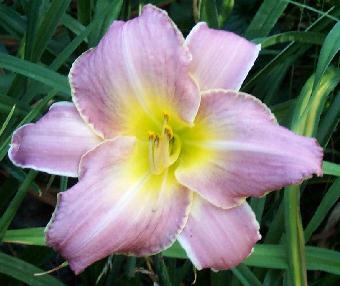 At present we have only a few registered and available for sale. We have tissue cultures of some of them. 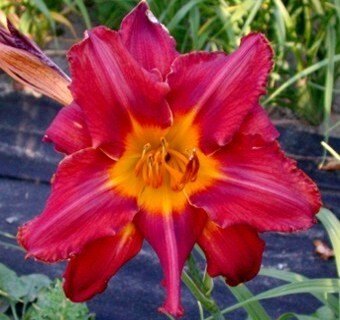 Check out our web page at: John & Paula's Daylilies.